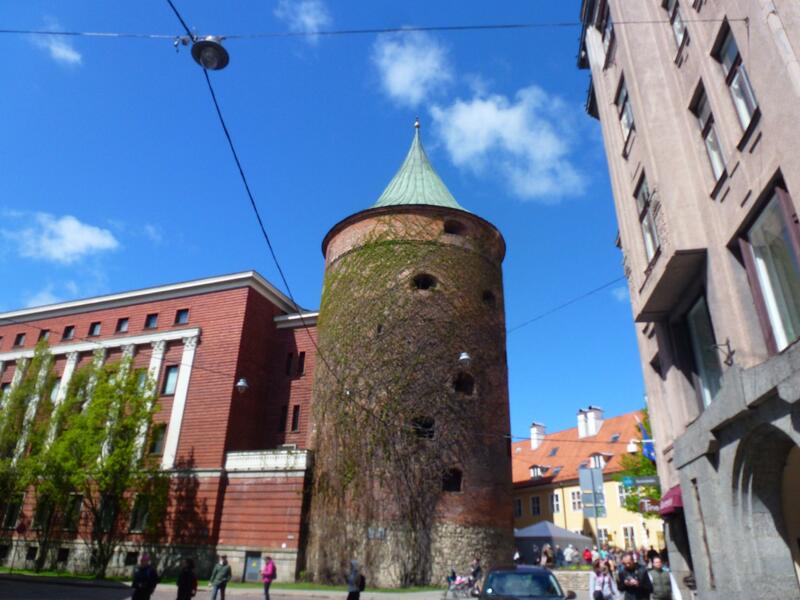 Latvia and a bit of a detour – just a little one! New country time again – another border ruined by Schengen, we are never going to enjoy crossing a border without getting our passports out. Country 11, whilst we said we wouldn’t do counting and tick lists it’s hard not to look back and count how lucky we have been so far. 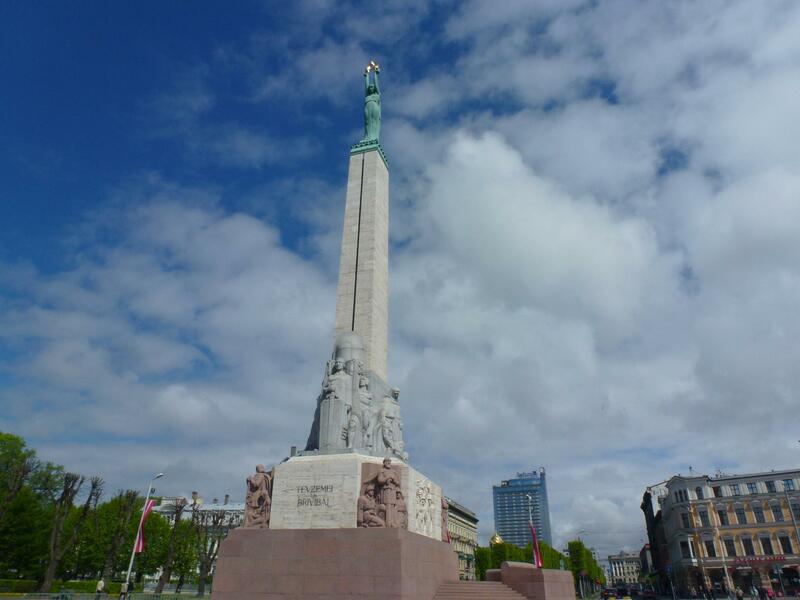 We had agreed to break our ‘no capitals’ rule and have a few days break in Riga, so planned to carry straight on up the main road to the city centre campsite. On route we saw signs for much advertised Rundales Place, easily distracted we took a version to see what the fuss was about. We took a side road turning which took us into the centre of some very un-savoury looking apartment blocks, and not the sort of place we generally feel good stopping. However, we needed food supplies so risked a stop at the local shop – we should have learnt by now not to judge books by covers. The lady in the shop and I had a lovely five minute talk about England and Latvia, bread and cakes and the freshness of the bananas – she spoke not a word of English and I spoke not a word of Latvian. Using the international language of shopping: pointing – waving – nodding and slightly disgusting chewing faces: we both worked out what the other meant. Just a few yards behind the shop was the palace, we both agree it warrants all the good reviews. Building started in 1737 and continued for 32 years. 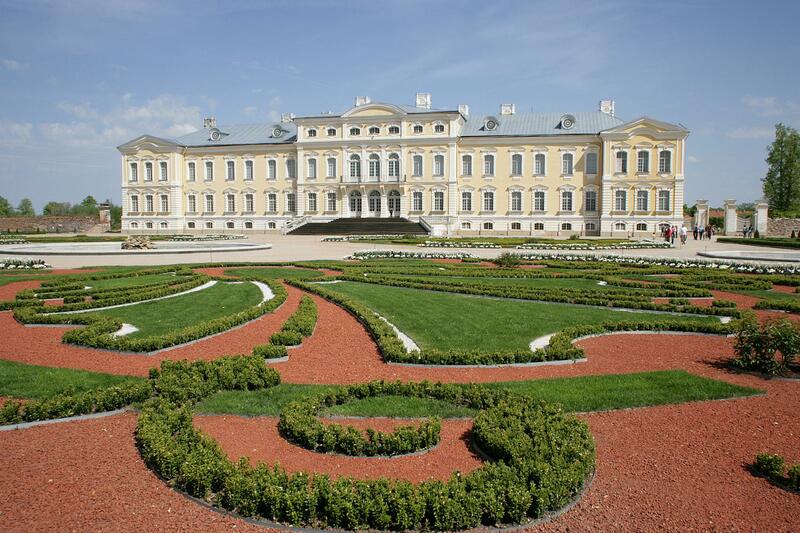 Set amongst a French Park is is simply stunning, we did the tour of the state rooms which contain some of the best examples of Baroque and Rococo art in Latvia. As we entered we had to put on little blue plastic bags over our shoes to save damage to the floors – felt like we were extras in a hospital drama :). Room after room of absolutely beautiful apartments lavishly furnished with period furniture, and opulent wall hangings and curtains. They do the photography charge thing – you pay for a sticker to take photos, we didn’t so only photos from the web. A few zillion has been spent on refurbishment, interestingly that project started way before Latvia gained independence so a bit of a joint Soviet and EC project. After our culture hit for the week we did the hop and spit into Riga. Campsite on the side of the river just off the city centre, with more motorhomes than we had seen in 6 months. There was an expedition of 30 motorhomes meeting up on the campsite onroute for a tour around pretty much everywhere. They left Sunday for 170 day trip covering Moscow, Novosibirk, Mongolia, Peking, the Silk Road, Tehran and finish up back in Istanbul. Yes, we did think about joining up – however we have the days just not the €11,900 cost to add to the diesel etc. We do have the brochure though, dreaming cannot hurt (and they go every 12 months) ! :). 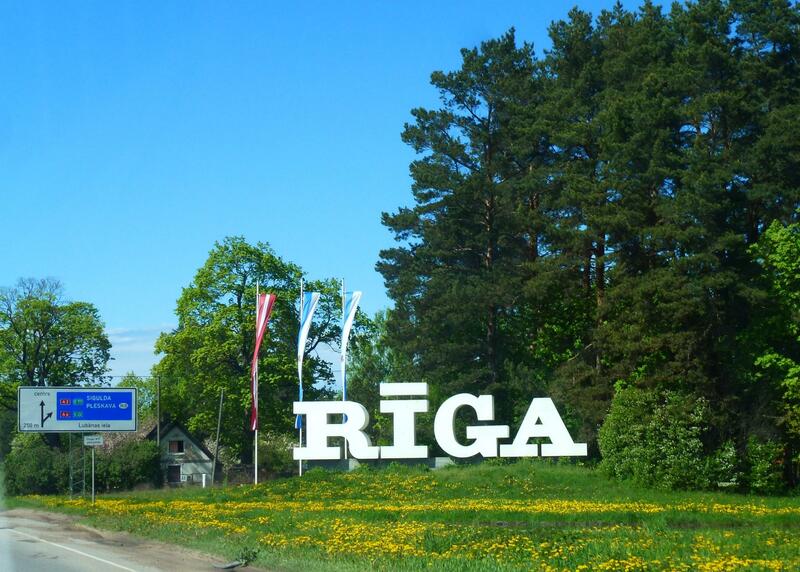 We usually avoid capitals like the plague but Riga looked worth a stop, mainly as the campsite was in the city itself. It only opened for the season on the day we arrived and it over 2/3 full when we pulled in. The old town was just a short walk over the bridge crossing the River Daugava, we were going to take a tram but the distance wasn’t really worth it so we walked over into a force 11 gale, bracing sea air was an understatement. 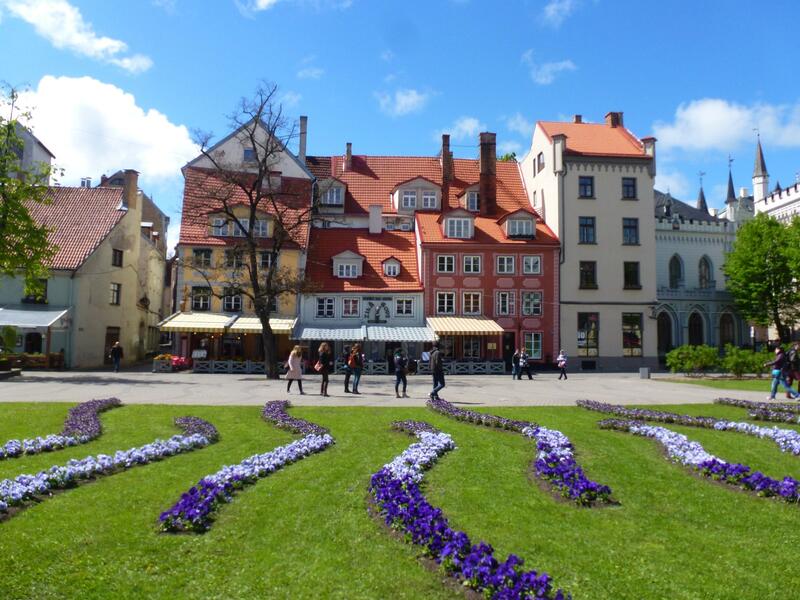 Riga was last years European Capital of Culture and it was easy to see why. The castle was not the most imposing we had seen but the Art Nouveau and 19th century wooden architecture was stunning. 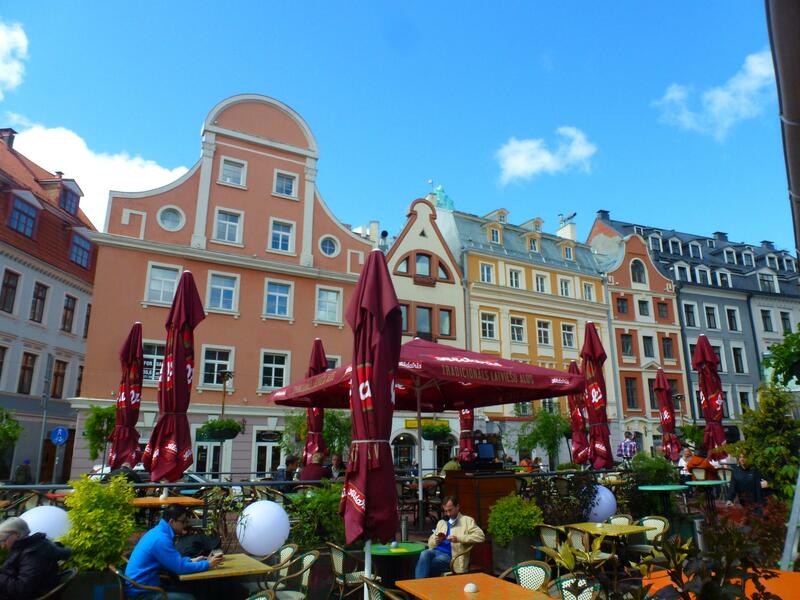 Walking through the city we came across cobbled square after cobbled square, tall buildings lining skinny streets with colour popped buildings each side. The pavement cafes were generally on the exra large side – the theme was very much on the Euro Pop Freaky trail – the more garish the tables clothes and decor the better. Riga Cathedral was shrouded in scaffolding so wasn’t at its best – we ventured inside but balked at the entry charge which was higher than anywhere we have been. Instead we made do with a stroll along to the Freedom Monument and our first Costa experience since last November – bliss :). Despite it being a relatively sunny day in May (with a proper Baltic wind) there were very few tourists about and even fewer locals. Down at the river they were gearing up for the Riga marathon so possibly that was why no one much about, made it very easy for us to wander around at our own pace and have a look around. As seems to be the case wherever we go in Eastern Europe the electric ‘milk float’ tours were open for business, they seem to have taken over from the open top bus tours in all the major towns in Eastern Europe. We read plenty about Riga and the rip off’s that take place etc. even some of the foreign government websites issue warnings. For us, it felt safer than many a town back home, no-one bothered or worried us, it was clean, it was peaceful. The magnet seller on the market did try and keep my 50 cents change but I think that was just her not being used to the new currency, the Euro only came in January this year, rather than trying to swindle me :). 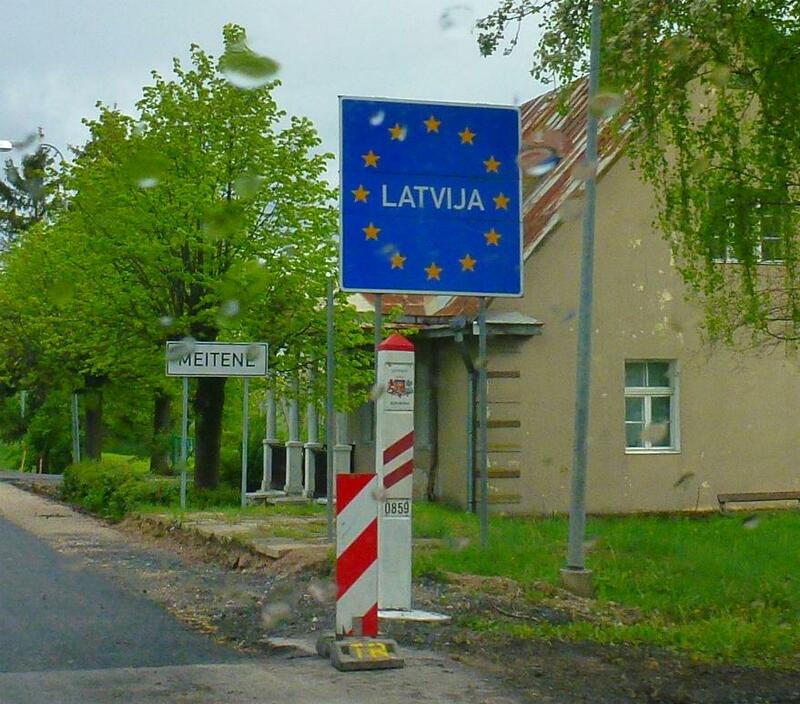 We left Riga and instead of turning right we turned left! 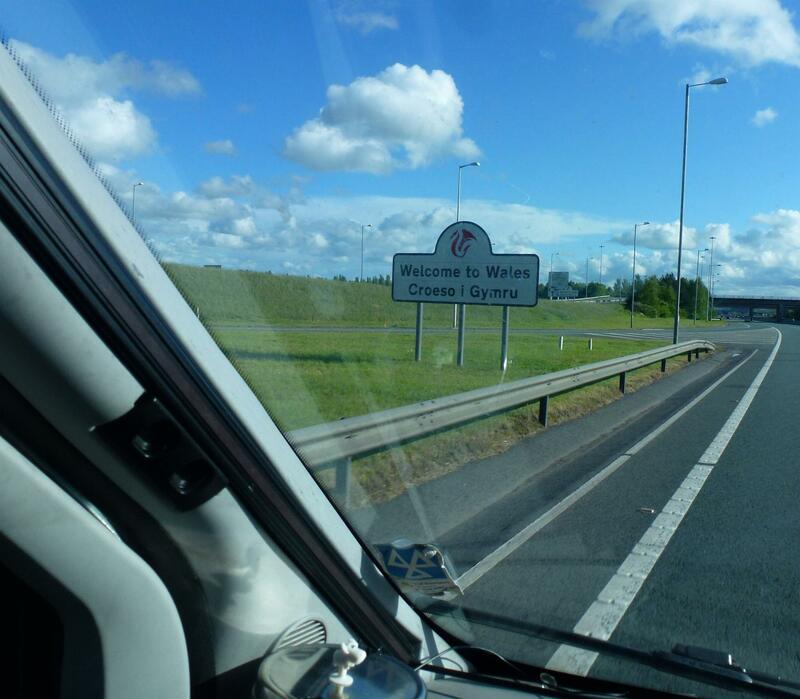 To cut a long story short, we are back home in (not so) sunny Wales. It would be fair to say its been a long week, we have driven over 2500 km through 7 countries between us in the 3 days, luckily its been motorway since Warsaw. It’s not solely because of the Marmite and Tetley supplies running low, however stock-up opportunity will not be missed. Main reason for popping home is Iain not felt 100% for several weeks with symptoms that have previously resulted in hospital stays, health insurance doesn’t cover existing conditions so our thoughts were best pop home and get things checked out. Pending check-up results we hope to be back out on the road in the next couple of weeks to compete the magnet collection :).